Our business philosophy is to provide each and every customer with the best quality product along with timely deliveries. 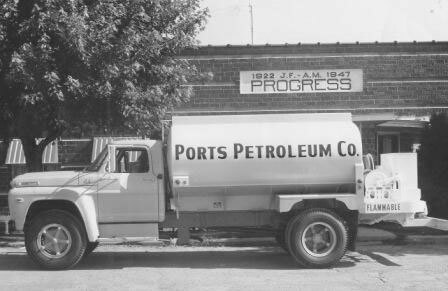 Since its founding in 1948, Ports Petroleum Company, Inc. has been family owned with its Corporate Office in Wooster, OH. Ports Petroleum is an independent wholesaler and transporter of petroleum products and diesel exhaust fluid (DEF). We maintain supply and distribution agreements with many major oil refiners throughout the United States to provide fuel for a variety of consumers. We operate across town for local farmers and nationwide for independent gas stations, government entities, truck stops and convenience stores. Ports Petroleum Company, Inc. also owns and operates unbranded retail fuel and convenience stores in Ohio, Indiana, Illinois and South Dakota. Ports owns and operates a number of Fuel Mart truck stops and convenience stores in Ohio, Indiana, Illinois and South Dakota. Ports Petroleum delivers and supplies hundreds of independent gas stations, truck stops and independent trucking companies throughout the continental United States. We deliver fuel under contract with the Federal Government along with dozens of other agencies; including state and local governments, school districts, mass transit services, and power/utility companies. Ports Petroleum owns and operates transport trucks and tankwagons. Our logistics department coordinates customer loads with common carriers and controls the transportation division. We have been supplying a variety of customers with high quality DEF and DEF equipment since the product was introduced to the North American market.